One of the important features of new ShowBiz software is ‘personalisation’. Every user has their own dashboard on which they manage their own unique ShowBiz experience via ‘widgets’. This won’t come as a surprise to people who use www.tails.com. 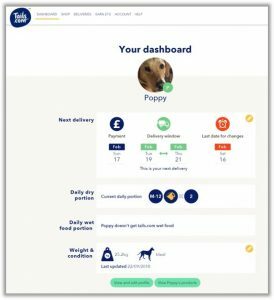 Even our office dog Poppy now has a dashboard! * Thanks to David Cochrane at RHASS for the dachshund / dash-hound pun.